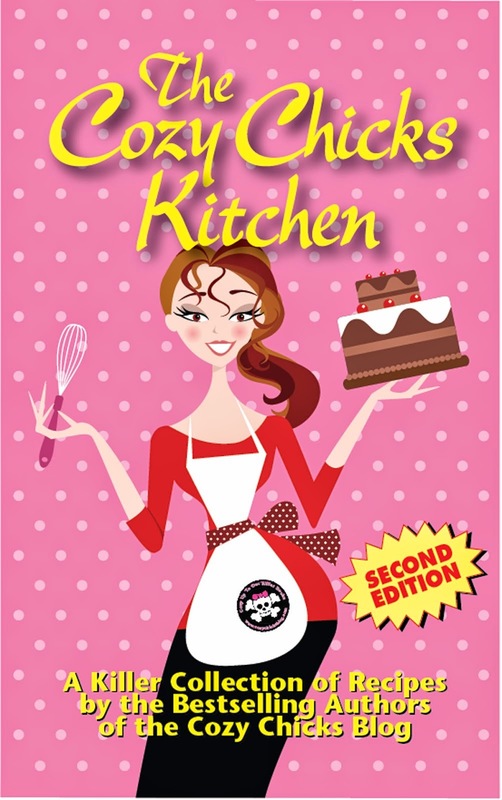 Cozy Chicks: TWO GREAT ZUCCHINI RECIPES! Now's the time when friends and neighbors are sharing baskets of zucchini fresh from their gardens. You appreciate their kindness, but what in the world will you do with all that zucchini? Here are a couple of ideas, I've tested them myself and love them. I think you will, too. The first is zucchini and goat cheese pie and it couldn't be easier! 1 1/2 pounds zucchini, unpeeled and sliced 1/8 inch thick. The trick to this recipe is getting all the water out of the zucchini. How do you do that? Take the sliced zucchini, add some salt and place in a colander. Let the slices drain for 30 minutes. Now, dump the zucchini onto a clean dish towel and squeeze out any remaining water. This is very important because no one wants a soggy pie! Add a touch of mined fresh thyme to the goat cheese and spread on the pie crust. 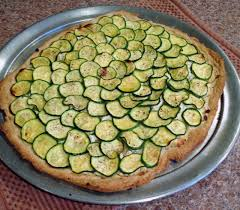 Top with the dried slices of zucchini in a circular pattern. (as pictured above)..Start at the outside and work your way in. Drizzle the olive oil on top. Bake at 400 for about 40 minutes, it is delish! The second recipe requires a spiralizer. You don't need anything fancy, you can buy one on Amazon for about ten bucks. 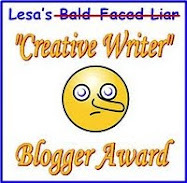 This is the one I have. It makes thin strips of veggies and turns them into spaghetti like strands. 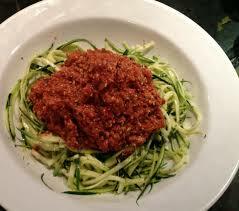 I love to make "zucchini spaghetti" to cut down on calories. 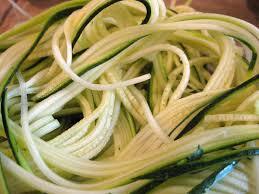 This is what zucchini will look like after going through the spiralizer. I leave the skin on because I like the combination of green and white. You can blanch the zucchini strands in boiling water and then add your favorite sauce. 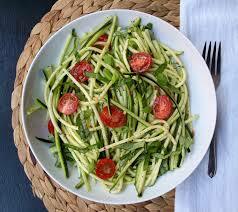 Some people use half spaghetti and half zucchini before transitioning over to "all" zucchini. Either way, it's a very tasty dish. Hope you try these two recipes. Next week, I'm giving some great recipes for corn. 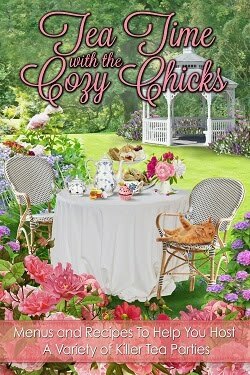 Stay tuned and hope you are having a wonderful summer.